SSLs.com is a member of Namecheap Group, which specializes in SSL business, SSLs.com is offering the world’s cheapest promotion for PositiveSSL certification. As the photo, the price of $ 2.88 / year when the 2-year order is the cheapest price at the moment with a PositiveSSL certificate. You should not miss the opportunity to upgrade your website to HTTPS. If you choose to buy 1 year the price is $3.88 for a year. 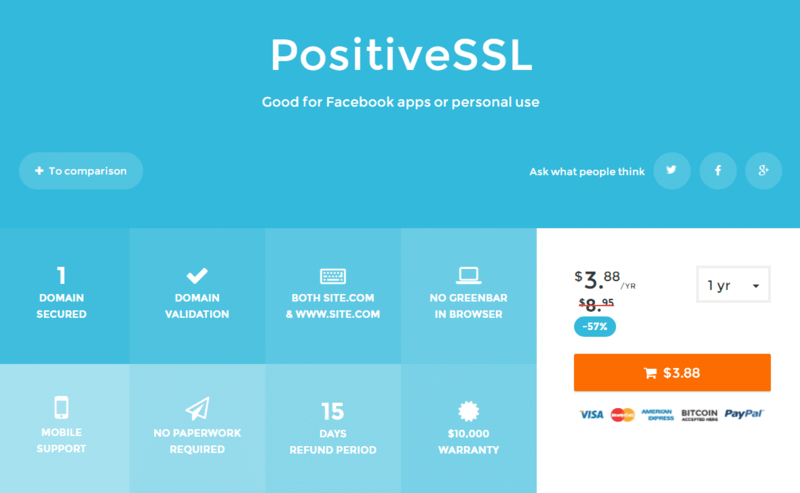 In addition to PositiveSSL, SSLs.com is offering a 46% discount on EV SSL (company name in the browser address bar), only $ 78.99 per year. More information and registration SSL here. SSLs.com supports payments using PayPal or Visa / Master international payment cards.